When you think about a great American Vacation with your kids, what do you dream up? Sunshine with pristine beaches? Shopping and fantastic food opportunities? Visiting a family-friendly town with history enriched activities? 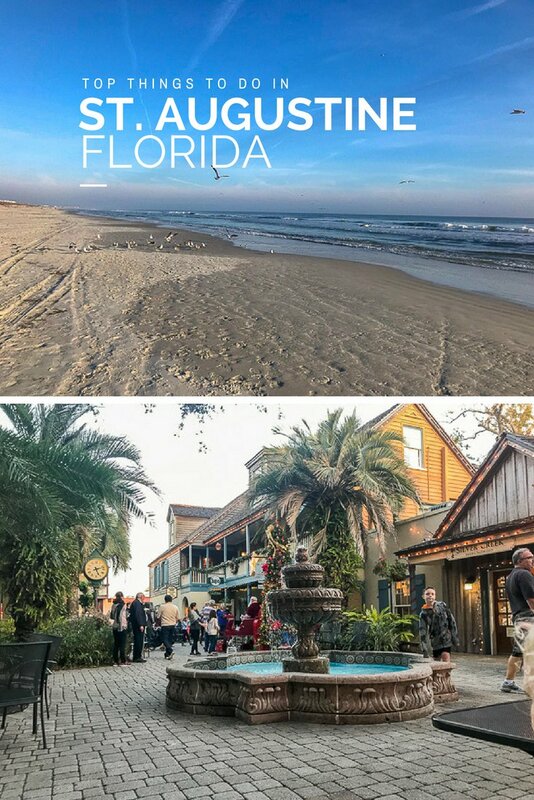 Look no further than St. Augustine, Florida. If you are looking for the best things to do in St. Augustine Florida then keep reading. 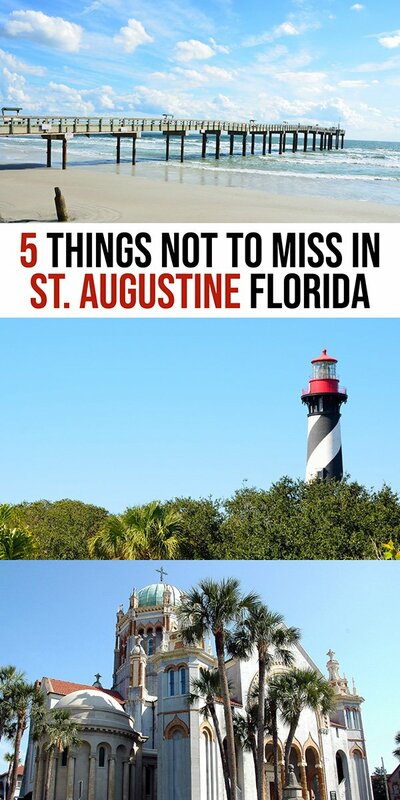 By the end of this article you will know everything you need to know about visiting St Augustine. St. Augustine has it all! It is located on the Northeastern Atlantic coast of Florida, encompassing some fantastic beaches and history. 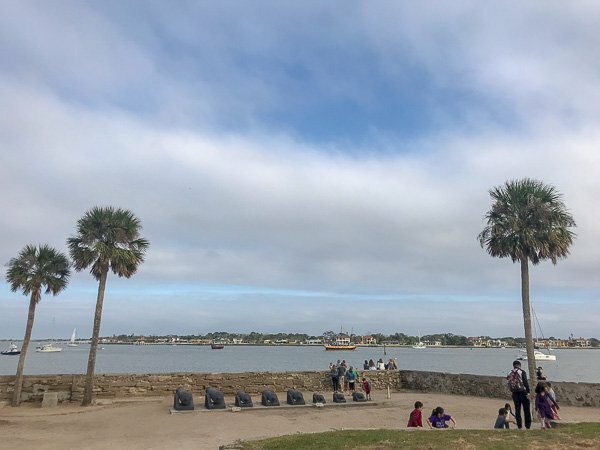 Our family spent 4 weeks in St. Augustine and I’m excited to share with you some of the great things to do in St Augustine Fl. 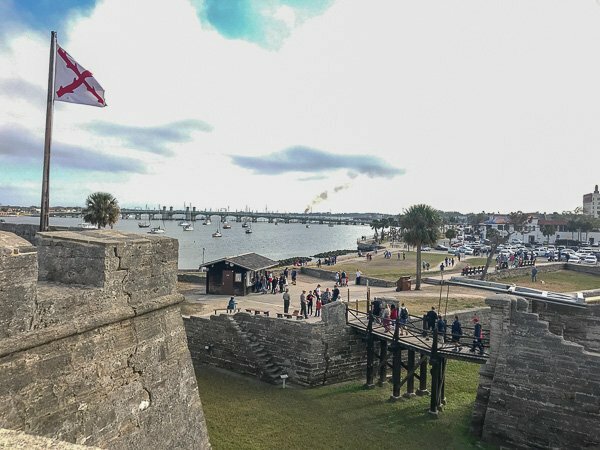 History of St. Augustine: What to See? St. Augustine is considered the “Oldest City” in the United States. It was founded in 1565 by Spanish explorers, making it the oldest continuously occupied European-settled city in the Nation. For a great history overview of St. Augustine, I highly recommend taking the Red Train tour of the city. The price of a ticket allows you and your family to get on and off at over 22 different stops throughout the city. I suggest staying on the trolley tour for the first 80 minutes to listen to the detailed history lesson you will hear from the train driver of the open-aired trolley. It”™s also a great place for a young child to take a nap mid-day if you need a break throughout your day touring St. Augustine. If you are looking for other tour options, check out these ones here. The Castillo de San Marcos is a National Monument located on the shore of Matanzas Bay in downtown St. Augustine. The Red Train stops at the Castillo, making it a great opportunity to see the fully intact fort. You may even see a reenactment of cannon fire and pirate ships in the bay if you arrive in the afternoon! Piracy is a part of St. Augustine’s history. The Castillo was built to help ward off pirates, and many locals could tell you all about it. Right across the street from the Castillo you will find the Pirate and Treasure Museum. The museum offers an exciting place to learn more about pirates as a family. I suggest stopping in and looking at all the artifacts. The kids may even meet a pirate in person! The weather in St. Augustine is usually warm and swimsuit-wearing-weather. From March through November the temperatures are warm to hot and on the humid side. If you visit during December, January or February be sure to bring a light jacket for the cooler days. Yet, you will still find many days to let the kids play at the beach and to put on a t-shirt. There are miles of unspoiled beaches in St. Augustine. With wildlife, sand dunes, and fantastic sandcastle-making-sand, your family will be set! St. Augustine Beach, FL is located at Ocean road and has parking with access to bathrooms and a playground. You can also access much of the beach, and many others such as Crescent Beach, by driving onto the beach and parking at different entry points. Our family was surprised to see how many people ride their bicycles on the beach during low tide. You may also enjoy collecting seashells or hitting the waves with a boogie board. 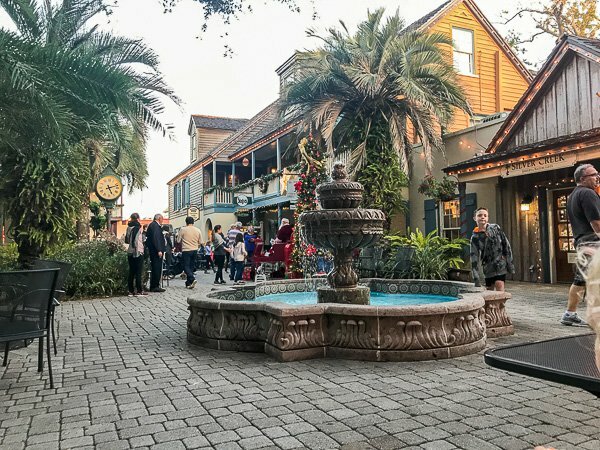 St. George street is a cobblestone pedestrian-only street through the heart of historic downtown St. Augustine. There are local shops and restaurants for blocks up and down the street. I suggest parking at the city parking ramp and walking the street. You may also take the Red Train and get off on one end of St. George street, then grab the next trolley at the other end of the street. You will feel like you are back in history while walking down St. George street. Be ready to visit many shops along the way. We enjoyed a candy shop, homemade soap store, and browsing through some children’s toys at a few other stores. The smells along the street are mouth-watering, so be ready to grab a bite to eat while you are shopping. The food options in St. Augustine are amazing. From authentic Spanish cuisine, to seafood, to local pizzerias you will have many options. We especially enjoyed the Al’s Pizza on St. George Street. The staff was great with our children and the food was excellent. We ordered the authentic Sicilian pizza and did not leave hungry. I highly recommend stopping in for a bite to eat. St. Augustine is a tourist destination with many options for your family. From local hotels and bed and breakfasts, to chain hotels and Airbnb stays, you’ll have a lot of options. There are also many RV parks nearby if your family will be traveling in an RV or caravan to St. Augustine. On our visit to St. Augustine we stayed in an Airbnb condo on the ocean for 4 weeks. It was a beautiful beachfront condo that was affordable because we came in December, the off-season. If you are trying to save money, I’d recommend visiting St. Augustine in December, January or February as the prices for accommodations will be lower. 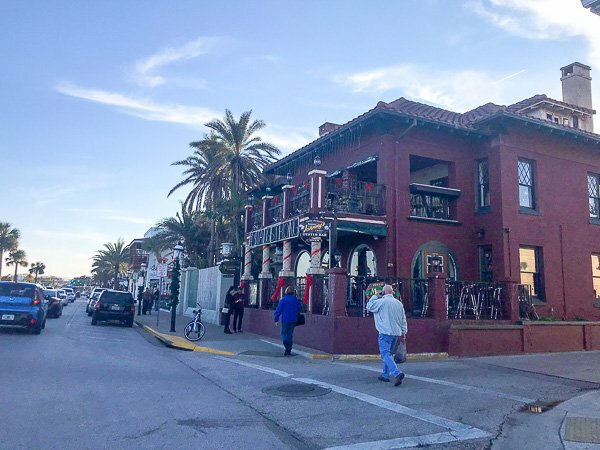 St. Augustine is a city that you can visit over and over and never see it all. 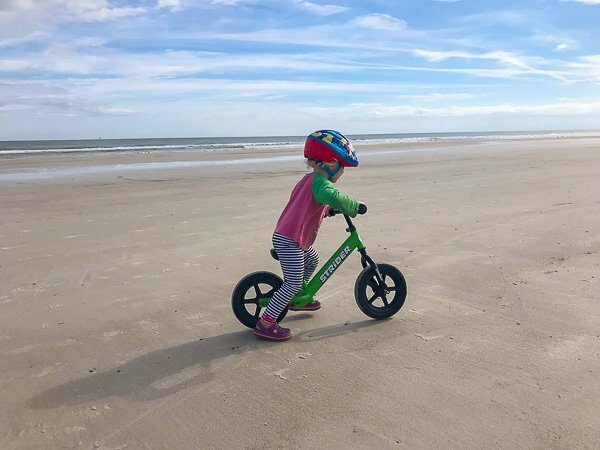 There are options for the whole family and you are all sure to learn something new while enjoying the nice Florida weather. Our family is already planning a trip back next year! 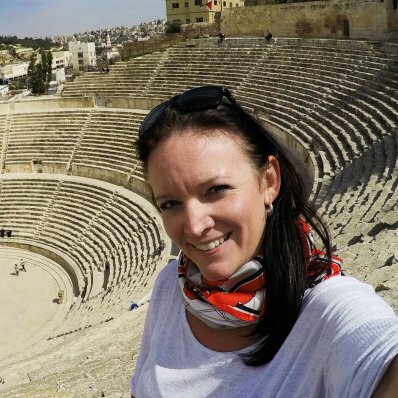 Jill is a travel writer, full time traveler, wife, and mother to 4 kiddos. She is always seeking new experiences and working to inspire others to travel. Jill is the founder and editor of Let’s Travel Family, a family travel blog. Follow her on Facebook, Twitter, Instagram or Pinterest.